This tour will introduce you the highlights of central Vietnam. 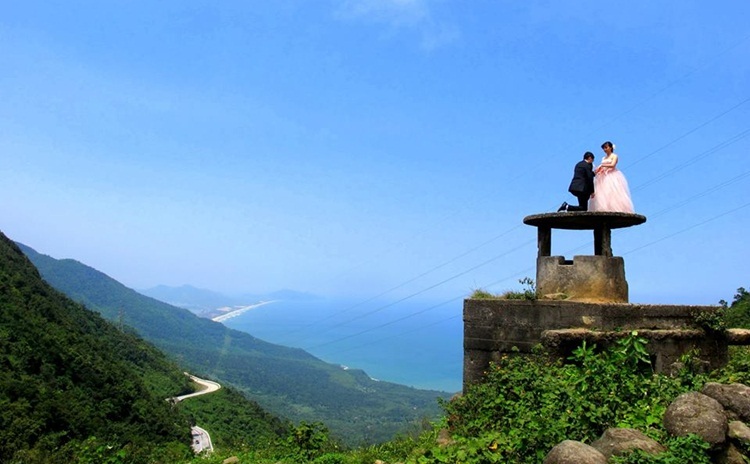 The famous destinations include Hue, Phong Nha (Paradise Cave or Phong Nha Cave), Hoi An, My Son and Nha Trang. Vietnam Drive will pick you up at Phu Bai Airport or Hue Train station to your hotel in Hue City- the former imperial capital of Vietnam. Then, we take a dragon boat trip to visit the oldest pagoda in Hue- Thien Mu Pagoda. We drive back the center to discover the Citadel, Royal Palaces of the Emperors Nguyen-the last dynasty in Vietnam, and visit Royal Museum with many royal artifacts to display here. Then, take pictures of the local colorful market Dong Ba. In the afternoon, drive to explore the elaborate beauty of one of the famous royal tombs of Nguyen Dynasty: Khai Dinh Tomb or Tu Duc Tomb. 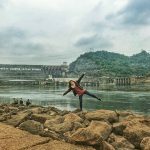 In the morning, we drive through green rice fields and tranquil countryside to Phong Nha – Ke Bang National park to visit one of amazing cave – Paradise Cave. You will have the chance to explore great “paradise in the earth” containing incredible and spectacular stalagmites and stalactites. Please note that to visit paradise cave, you have to climb up many steps. Thus, if you do not want to climb up, you can choose to visit Phong Nha Cave this also enchants visitors with evocative names: Lion, Fairy Cave, Royal Court and Buddha inside. We then go back Hue to stay overnight in Hue City. Beautiful coastal and mountainous drive to the ancient town Hoi An where you would like to stay longer. You should not miss this drive over the Ocean-Cloud pass (recommended on dry days). Via stopping visiting Cham Museum, the finest samples of Cham Sculpture, My Khe Beach Beach selected one of six famous beaches in the world and the Marble Mountains to get amazing photos. Before you check in the hotel in Hoi An, we stop at the silk factory for you to explore how the local people of Hoi An to make fabric from silk worm. Forty-five km morning drive to My Son Holy Land to explore the ruins of mysterious Cham temples and towers; and you will have chance to enjoy the interesting Cham dance at My Son. 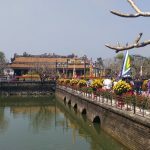 In the afternoon, strolling to discover the ancient town Hoi An with the ancient houses, Chinese temple, Japanese covered bridge and silk street. Spend your time for shopping and tailoring. You can extend your stay in Hoi An as your requests. Many guests like to drive to Nha Trang from Hoi An for resting time on at the beautiful beach city Nha Trang. We stop taking pictures at nice sights and visiting some Cham temples on the road. When you stay in Nha Trang, you have the chance to explore Nha Trang bay by boat, one of the thirty best bays in the world or/and dive to enjoy the beauty of the coral reef in Nha Trang sea (optional). Stay overnight at Nha Trang. You can customize this tour with us. Just tell us what you want and the team of Vietnam Drive will plan it for you.